Below is a comparison sheet of the Maruti Alto 800 facelift vs its rivals, which include the popular Renault Kwid, the Hyundai Eon and the soon-to-launch Datsun redi-GO. The Alto 800 facelift received a slew of minor exterior and interior changes. Though it continues using the same engine, fuel efficiency how now increased by 9 percent to 24.7 km/l. However, the Renault Kwid and Datsun redi-GO continue to offer a segment-leading 25.17 km/l. The Hyundai Eon in comparison returns a lower 21.1 km/l. Where the Eon, redi-GO and Kwid output 54 PS from their three-cylinder 0.8-liter engines, the Alto 800 facelift develops only 47 PS and a lower 69 Nm of torque. The result: The CMF-based Kwid and redi-GO have the highest power-weight ratio of 81.8 PS/tonne and 85.03 PS/tonne respectively (the redi-GO is around 25 kg lighter than the Kwid). All cars get a 5-speed manual transmission though. When launched next month, the redi-GO could match the Alto 800 on price. Coming to prices, no surprises here as the Alto 800 facelift is the most affordable car in this segment at INR 2.49 lakhs for the base variant and INR 3.34 lakhs for the top-end VXi with a driver airbag. A similarly specced Renault Kwid costs INR 3.67 lakhs (with inclusion of a touchscreen MediaNAV system) while the Eon emerges as the most expensive of the lot. 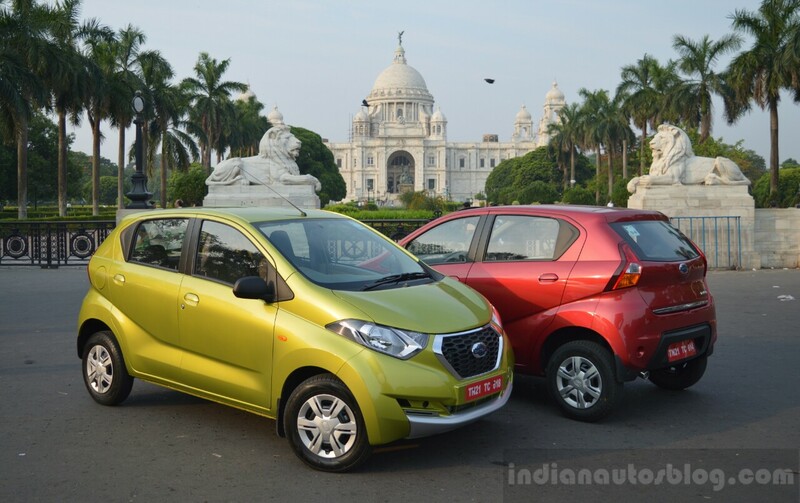 Prices of the redi-GO will be announced on June 1, but guidance pricing issued by Nissan India ballpark it to INR 2.5-3.5 lakhs, ex-Showroom.